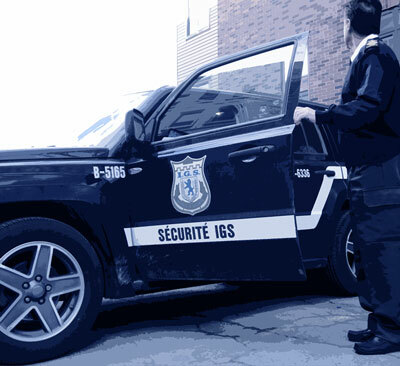 IGS Security is a well established company that has provided security services for businesses in Montreal & Boca Raton for over 25 years. Our Mandate As a full service security services provider, IGS Security offers a wide range of services to a variety of industries in the Montreal & Boca Raton area which include government agencies, property managers, commercial enterprises, multi-tenant residential buildings, shopping centers, business and financial institutions. Whether it be an individual, small or medium size business or large corporation, IGS Security provides personal and professional security services customized to suit the needs of our clientele. IGS Security is more than just another security guard company. We provide integrated and customized security solutions offering the expertise to meet any and all security requirements. To address the problems caused by vandalism, criminal acts, dishonesty and preventable loss to create a highly effective security program that integrates policies and procedures based security solutions into day-to-day activities of people and businesses. To perform an extensive survey of your existing security policies, procedures, staffing and management, by identifying potential threats, locating sources of vulnerability and defining needs. To tailor solutions to your organization’s requirements and to co-operate with its staff; not to replace it. To design effective security, operations and management procedures. To provide security systems based on cost and performance; including manpower, technology, procedures, built-in supervision and control sub-systems. To provide screening, recruiting and training of security personnel ensuring that security guards are subject to strict education and physical fitness minimums, and meet high standards of decorum and conduct. To function in a discreet manner. With IGS Security as your security partner, you can rest assured that we will provide service that exceeds your expectations.